The Top Escape Rooms Project, which gathered uber-enthusiasts together to rank games on a worldwide scale, announced their awards last week. Congratulations to Time Run and Locked in Edinburgh for high placings in the top 25 games “worldwide”. You can read my write up on The Logic Escapes Me here. HintHunt have closed down two of their John Monroe rooms and opened up Submarine: DeepDown, Submarine: Torpedo and The Safe. The first two are present in a variety of international venues and are unusual in being played in the same space. Omescape Aldgate opened Huxley VR, the well known VR escape room from Berlin. Popup Escapes closes The Case of the Dynamo Diamonds this week. History Mystery are set to open a new game in underground Norwich. As well as benefiting charity, it looks to be a pretty cool venue – Norwich’s answer to Diagon Alley? Thanks to Sarah for the pointer! The Panic Room Harlow opened North Pole Panic, which was previously located over in Gravesend. Don’t Get Locked In from Leighton Buzzard have opened their second room, The Rock. Time Lock have launched in Worthing. Their first game is Deutschland ’89: Mission Berlin which was previously available at Clue Trace under the title Mission Critical. Escape Windsor are a new company that launched recently offering two games for now: Area 51 and Crown Jewels Heist. Pier Pressure opened The Divide, a game in aid of a homeless charity that was designed and run by Time Trap Escape Rooms in Reading. Escape Kent have opened two new games. Firstly a Christmas-themed room called Savin’ Santa which will run over the festive period. The other game is Vicé Versa, a head-to-head game which, from what I’ve heard, is based on the well-known White Room from Hungary (and now available in various other countries). Exciting Escapes opened The Voices We Hear at their Portsmouth venue. If you’re struggling for what Christmas presents to buy someone then here are some suggestions from a US escape room blog: Room Escape Lover’s 2018 Holiday Buyer’s Guide. Mostly available direct from the UK – if you do get something from the States, remember that you might be charged taxes! Cannock Chase Escape Rooms has me intrigued. The Bunker is a ninety minute game, out in the middle of nowhere and run by enthusiasts that I don’t recognise by name. Jingle Bells is a new Christmas-themed escape room being opened at Resorts World, Birmingham by Escape Live. It’s a 30 minute game which they’re quite clear is aimed at children with the chance to meet Santa as part of the experience. Other World Escapes has opened a new venue in Porstmouth. I’m anticipating a few games but their first is Vermillion, a copy of their successful Southampton-based experience. The Real Escape in Portsmouth has opened a fourth game called Mission 15. It’s a little unusual as the game is fifteen minutes long and for just 2-3 people. Eeek Escape Rooms is a new venue that’s just obtained planning permission and opens its doors in January 2019! You know what would go well with an escape room? Oysters. Not convinced? Well, Plymouth Escape Rooms seem to think so with their new escape room singles night! Thanks to Laura for the heads up! Lincoln look set to get two new venues according to this article. Deliverance is an entirely new company created by a local while Enigma Rooms is part of chain of games in Yorkshire and the East Midlands. Castle Rock Crafts is an interesting venue which appears to be running a bushcraft-themed, 45 minute escape room. I’m not entirely sure what that entails but it certainly sounds interesting! The Escape Game Llanelli has opened a second room Hostel which has a difficulty rating of 8.6 whatever that means! Enigma Rooms Wakefield opened Seance last month. Liverpool War Museum is launching an escape room next month with a World War II theme. Escape Hunt Liverpool are launching this week with Blackbeard’s Treasure the first game available. Clue HQ Warrington opened End of the Line their underground themed room. Lincoln is getting a second venue as Escape Lincoln prepare to open their doors with three games: The Magic Emporium, Sherlock: The Initiation and Contagion. You can read more about it in the local paper. Tricky Escape is the new name for the brand that originally started as Escape Harwich. I guess with a Clacton-on-Sea location being added later this month, they wanted something more exciting to tie the two venues together. Wirral Escape Rooms opened their second game, Christmas Confusion. Total Enigma in Carlisle has opened its second game, Asylum. Breakout Chester opened their seventh game, Dark Magic, a few weeks ago. Looks like Wigan might be getting an escape room according to this article. Adrenaline Escape has found a venue and submitted a planning application so watch this space! Trapped In appear to be temporarily closed. It’s not clear why or how long for but their last games took place over a month ago and people on the Facebook page have talked about waiting for refunds. Escape Rooms, Zombies and Paintball? If that sounds interesting then you should probably check out The Undead Hour. London Escaped opened their third game, School of Magic, with a fourth due to follow imminently. Mythologic Escape Rooms is a new company aiming to open in Gillingham, Kent. The site it still very much a work in progress so I don’t expect them open till the new year. Escape Windsor (unrelated to the Escape brand) looks close to opening with two games already mentioned on their website: Crown Jewels Heist and Area 51. The UK Red Bull Mind Gamers qualification took place in London over the weekend. Congratulations to Sarah and Sharan from S², Mark from Really Fun and Dave from the Escapement who qualified in first place and currently head the global leaderboard. Escape Time from Sutton Coldfield won the best new business category at the Birmingham Post business awards. Knockout Escape Games in Reading are moving to a new venue with their re-opening date expected to be the start of December. Hysteria Escape Rooms opened their doors in Rochester with their first game called Aftermath. Compendium, the Bury-based company, opened their first game, Wrong Turn. Looks like we’re getting a second venue for Locked In Games. Very little information other than the Leeds-based company has found a venue in York. Watch this space. The Escaporium in Halifax opened Codicillus and Illuminati game which sees you trying to solve a crime inside the inner circle. The Divide is opening at Pier Pressure in Brighton. Fans of Time Trap in Reading may recognise the game which ran for three months there in aid of Launchpad Reading. This time round a percentage of game sales will be going to Brighton Housing Trust. Escape Lincoln is a new Escape venue which will eventually house three games – the Magic Emporium, Sherlock: The Initiation and Contagion. Evidence Room is a new venue that’s launching in Bury St Edmunds. No launch date yet but a strong suggestion they’ll be available soon. 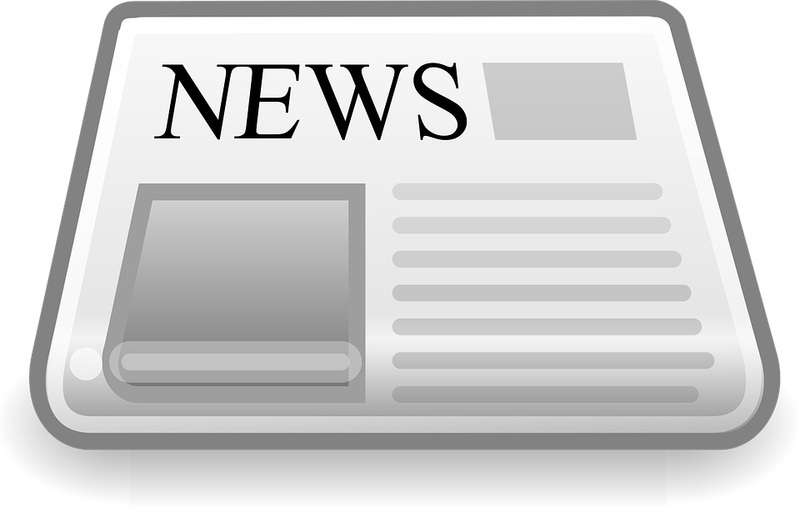 Strictly, it’s South East news but it feels like this is relevant to the whole country: The Panic Room in Gravesend have launched a series of packages to make it easy for enthusiasts to visit their venue. Want to play lots of games (up to eight a day! ), avoid doing any real organisation and get a discount in the process? This is your chance! Starting from as little as £15 per person per game, they’ll work out your itinerary, book your lunch and will even sort out milestone or birthday celebrations (and if you’re playing the full fifteen games with four people then chances are you’ll be celebrating a milestone at some point). If you’ve not already been down to Gravesend then this seems like the perfect excuse! Full details on the enthusiast package page of their website. Speaking of The Panic Room in Gravesend, they’re about to open their fifteenth room – The Happy Institute. That cements them as the company with the most designs in a single town – overtaking Breakout Manchester’s 14. Time Trap opened Station X, their third permanent game and the first experience where you’ll be able to play head-to-head. It’s great to see them quickly filling the gap left by the Divide. Clever Dilemma are a new company that open Dracula’s Chambers down in Faversham, Kent this week. If you haven’t heard of Faversham then it’s about halfway between Margate and Gravesend, towns that probably will be familiar to most escape enthusiasts! The Skape Rooms have opened their doors halfway between Crawley and Brighton. The first game is called The Ward with Carmilla due to join in early November. A few weeks after they closed their last game, Salisbury Escape Rooms are back with Cold Case, their fourth experience in three and a half years. Run by ex-detectives, expect the game to be more authentic than most criminal-investigation-based escape rooms! Escape Hunt continues its relentless drive to become a significant players in the UK industry with the opening of their Edinburgh branch. Two games to start, Blackbeard’s Treasure and The Fourth Samurai, with a Viking-themed game to follow soon. Escape rooms continue to do well in local business competitions with Escape Time being nominated for the new business award. Thinking Outside the Box in Peterborough have opened The Magician’s Apprentice which replaces their recently-closed Merlin game. Escape Peterborough opened their eleventh game, Theatre of Screams which takes place in the Priestgate Vaults. Escape Yellow Sub is a new game that’s launched in Liverpool. I’m not 100% certain but I’m told that it looks very similar to Blue November, previously a well-received mobile game run by Can You Escape? Unsurprisingly, given the Beatles connection in the theme, the local papers ran an article on the new venture. Escape Hunt Manchester has launched with Blackbeard’s Treasure and The Fourth Samurai. That brings the total Escape Hunt rooms across the country to 22, making them the sixth biggest company and surely destined to hit the top five before Christmas. Welcome to your “weekly” fix of UK and Irish escape room news covering everything that this site has discovered in the last three weeks! Apologies for the delay – I had a busy few weeks preparing for ERIC, the UK escape room conference. Ever wondered how many games you might be able to play in a day? Well, if the answer is “more than 23” then you might want to have a go at breaking the world record. There’s a lot of complexity to the attempt (see the interview on Room Escape Artist for more details) but a US-based team set the initial bar at 23 during a recent trip to Russia including multiple games that lasted more than sixty minutes, some that required Russian language (they had one Russian-speaker) and a failure which more than shows that these games were definitely not easy! I’m sure there are a few UK-based players who’ll be setting their sights on bettering that though! As mentioned above ERIC 2018 took place last week with the good and the great from across the UK (and a few from overseas) heading in to find out about what’s happening in the world of escape rooms and catch up with the rest of the community. Big thanks to all of you who spoke including Pier Pressure, TimeTrap, The Panic Room, The Escapement, Exciting Escapes, Bewilder Box, ClueCapers, Locked In Edinburgh, The Game is Now, Clockwork Dog, History Mystery, Co-decode, Clue Adventures, THE ROOM, Escape Diem, Twisted Rooms, Nowescape and Really Fun (and I guess me too, speaking once as The Logic Escapes Me and once as Exit Games). And of course the team behind it all – Sarah, Simon and David! For those of you who like to look at numbers, Escape Hunt posted their interim results for the first half of the year. The bottom line is a £3.8m loss in the last six months with revenue rising to £800k. They’re about to expand from three to eight sites as well as adding more rooms, so perhaps it’s not quite the gloomy picture those numbers might initially suggest – certainly the market thought so with the share price remaining pretty static. Escape are launching a new site: Escape Lincoln will offer three of their games – The Magic Emporium, Contagion and, a brand new offering, Sherlock: The Initiation. The Reading-based company Deadlocked opened their second venue. Deadlocked Rooms Northampton will have entirely new games with the first two offerings being The Houdini Challenge and Dr Jekyll and Mr Hyde. Want to know more about the mind behind some of the favourite games in the country? Left Lion, a Nottingham-focused online magazine, interviewed Simon Stokes from Escapologic about his creative process. Taunton looks like it might be getting an escape room venue according to this local news article. Lock & Code of Weston-super-Mare have teamed up with the Museum of Somerset to offer a pair of escape rooms – School Days and The Somerset Emerald. Initial indications are that there’s only a short run committed to, so jump in quick if you want to be sure of playing. Escape Hunt Bristol opened its third game (and fifth room) Blackbeard’s Treasure. After opening up a pairs of Our Finest Hour and the Fourth Samurai across the country, it looks like Escape Hunt are starting to diversify with this new game in Bristol and a couple of different ones slated for Reading and Oxford. Salisbury Escape Rooms closed Salisbury CSI but they’ll be back soon enough with a new game, the build for which is already well underway. Clockwork Escapes are opening a temporary room for Hallowe’en. A Will to Live is their new game which builds on the story of “Where There’s a Will” but is very much a new experience with new puzzles. Room Release, which shared the same building as Clockwork Escapes, closed The Archaeologists with no indication on their website about whether they’ll return in the future. Xscape Now opened their fourth room – The Bank Job – with #5 due to follow for Christmas. Red Herring Escape Rooms is another Carlisle-based escape room, following on from the launch of Total Enigma a couple of weeks ago. Their first game is Sherlock but they have plans to open War Room and Asylum before year end. Bury is obviously the place to be with a third venue opening up in the town of just 60,000 inhabitants. Compendium doesn’t have a website yet but it looks like they’ve got their premises and started building with an eye to opening pretty soon. Pier Pressure opened their third game, Raver Quest, which sees you take on a 90s themed challenge and, judging by the video, is going to be a party from start to finish. The Room Maidstone has launched its website with their first game, Dr Hector Stein, due to open in October. The Panic Room Gravesend 2 opened The Sacrifice, another van-based game which you can either hire for that special celebration or play in the centre of Gravesend. Escape Room Can You Get Out is probably the name of a new venue in Ireland although I’m not entirely sure! There are three new games on the horizon for visitors to Killarney – surprising because the population is just 15,000 and yet its the third company to open. If you’re into your Rugby League, you might be interested to hear that the Leeds Rhinos took on Yorkshire Carnegie at Escape Hunt in Leeds. Catch 22 is a new venue that opened in Glasgow last month. The first game is called The Citadel and sees you trying to get to safety after pirates attack your ship. Three Wise Monkeys is a popup taking place at the Britannia Panopticon in Glasgow. An iconic setting – let’s hope it’s an iconic game! Escape Rooms Scotland Edinburgh closed their doors last month after almost two years in the city. After a THREE year break without opening a new game, Lock’d are back with The House of Alastair Moon. No word yet on what the game’s like but with such a large gap, you’ve got to hope they’ve had time to create something special. Not strictly escape rooms but The Crystal Maze announced a crowdfunding campaign and move to West Londonthe West End. Perhaps not the most exciting news but certainly suggests that they’re doing OK if they’re willing to up sticks and build a bigger location in the heart of London. It’s been a while in the making but Doomsday Games have launched in Colchester with the game Apocalypse. To help build up their business, they’re running a five minute mini-game at a local haunt attraction. You might have heard of Harwich Escape Rooms. Well, they’ve decided to rename themselves to Tricky Escape and, at the same time, launch a second branch – Tricky Escape Clacton which is due to open in December. Escape Basildon have opened their doors with two games – The Magic Emporium and Overthrone. The Escape Empire just keeps growing! Bewilder Box (Brighton): Judgement D.A.V.E. Norwich – History Mystery – Archived Alive! Lakes Escapes – Dr Frankenscraft’s Monster. ROOM 300!! On Saturday, the tenth edition of the DASH puzzle hunt takes place around the world. That’s more literal than usual this year; the event will be played in 23 locations in six countries, smashing previous records of 16 and three respectively, with Australia, Canada and Cyprus are set to join the family and host their first events. Welcome! Happily for us, London is hosting its sixth edition, and this too is set to be the biggest one yet; all the tickets sold out in under 24 hours – possibly well under 24 hours, for it didn’t seem wise to hang around to find out – and through a piece of heroism from the London Game Control team, there are set to be well over 40 teams in London this year compared to a previous record of two dozen. I very much hope to see you there; please say “Hi!” if you see me. The current weather forecast for London is for a dry start to the day that is set to get cloudier, with an increased risk of rain, as the day progresses; classic DASH weather. The player’s guide sets the form; there have been repeated suggestions from GC that teams need to brush up on their cryptic crossword clue solving skills, and that scissors and clear tape will prove essential this year. Other than that, it may be worth a browse to see what features have been added to ClueKeeper between last DASH and this one, much as the introduction of Zappar integration between DASH 8 and DASH 9 could have been taken to hint at the mixed-reality nature of the final DASH 9 puzzle. It might also be worth looking out on the morning of the day for tweets from Australian DASH players who will finish their event before the rest of the world starts theirs, though I’m sure nobody will post spoilers. London GC has suggested that there will be a nine-hour overall time limit for puzzling plus transport. In comparison to previous years, I get the impression that the teamwork icebreaker will see a return this year and that this year will contain more content than last year; perhaps a “fast team” time back to between two-and-a-half and three hours, and a “usual team” time of over five hours. A suggestion that London teams might think about planning lunch between puzzles 5-6 might be interpreted to point to relatively quick puzzles early on and longer ones later in the day. I would expect over 600 teams to play worldwide, perhaps 400 of whom will be on the expert track. 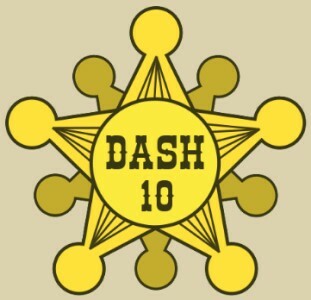 The logo with its appropriately ten-pointed star-pair design fits right into the tradition of every DASH logo since DASH 6 having a gold/yellow background, except one! Misremembered Apple and The Magpie have demonstrated world-class form over the years, rubbing shoulders on the scoreboard with teams who have been extremely close to, or even at, the top in other years. There are other excellent solvers in the UK dotted around a number of other teams. (I am not one of them!) I don’t imagine any teams having members with nearly as much escape room experience as team RecklesS2, if that proves a factor. My favourite London team name is Tactical Yutnori, and I very much hope to find out who is behind a team name that is pure Genius. As ever, set your expectations for a come-down at the end of the day, once the final meta is over and you have to make your way back from the fictional Old West to the factual West End. Why not stay around for a drink and a chat with your fellow solvers at the end, if you can? Many, many thanks to all the people who have put together the hunt: the global co-ordinators, all those who helped playtest and test-solve and the London volunteers on the day. Really looking forward to what’s very likely to be a fantastic event! Bear Grylls is all about creating adventure, so it’s not entirely surprising to hear that they’re including an escape room in their new attraction, albeit only a small one at 22 minutes from start to finish.. The Bear Grylls Adventure opened last week and includes a variety of other activities such as Diving, High Ropes and Archery. There’s a new game is opening in Chatham, Kent. Not much on the Hysteria Escape Rooms website but if you head over to the Facebook page you’ll see a bit more including a shopfront which suggests it can’t be long before they open. Big thanks to Zoe for pointing it out to me – I always love readers helping me to find out about new games! Total Enigma is a new company that’s opened in Carlisle, running alongside a Laser Quest centre. Their first game is Magical Chamber but they’ve already announced Asylum will open in November. Escape Newcastle opened their second Predator-themed game, Alien Escape – Hunting Park. Looks like Glasgow will be welcoming another escape room company later this month when Catch 22 opens its doors. Two games are already listed on the website with the Citadel opening first and Notorious the next on their roadmap. Deadlocked Rooms has opened a second site, this time over in Northampton. Their first game features a theme that I’m surprised I haven’t seen elsewhere – Dr Jekyll and Mr Hyde. Rob and Chris Escape in Rugby look like they’ve extended the run of their charity-benefitting game, The Facility. If you fancy playing an enthusiast-created game and supporting charity (and who doesn’t?) then get booked in! Mostly Harmless opened up in London after a successful stint at the Vaults, with their game Phobos 17, another space-themed game. Of particular note is that it’s situated at a boxpark (a semi-temporary retail/entertainment space constructed from shipping containers) – so there’s a very specific size to the experience and you’ve got food and drink easily on hand! Take the Exit opened in Hull last week with their first game called The Doll House. Expect to see another game open in the not too distant future with Trials of Osiris already listed on the website. No to be mixed up with the other venues of similar names, Escapologist Cleethorpes opened its doors recently. Three games are available from the off – Undercover, To The Dogs and Shaken – with more listed on the website as coming soon! Escape Hunt Leeds opened their third games, Blackbeard’s Treasure, which is already present at their Birmingham branch and opens soon in Bristol. Exciting news at Devon Escape where they hinted about running a 3-4 hour outdoor escape room. I don’t know what that looks like but it certainly sounded interesting! The Dorset Echo rounded up seven escape rooms that they’re recommending. As with all newspaper round-ups, your mileage may vary! Room Escape Artist published a glossary of escape room terms. Great if you don’t have any idea what someone on the enthusiast list is saying but also to give you words to describe those concepts that you didn’t know had names. Ghost puzzles are my personal favourite! James Hamer Morton, the mind behind Deadlocked Escape Rooms in Reading, is publishing an escape room book in November of this year. Pre-order available now. Department of Magic opened their second game, Dark Lord Resurrection, in Edinburgh. Escape Newcastle opened Alien Escape – First Contact, one of their two games being launched to advertise the Predator film. Mostly Harmless has launched a semi-permanent venue in London. You may remember them from The Vaults festival where they ran The Lifeboat. This is another sci-fi/space themed game and with the experience they’ve gained and a more permanent location you’d imagine that there will be a step up in quality. Also of interest is that they’re at a boxpark so the game will be in a standard container. They’re not the first, but if they’ve built a room that works in one location, it’s likely easily transferrable to a new one. Fun Times Immersive is a new company in London that’s recently opened (according to their website) with a single two player game – The Lift of Doom. Note that it’s only a twenty minute game and the website has a strong hint that this is part drinking establishment, part entertainment complex. Escape Reality Birmingham launched their site recently with five games: Bank Job, Enigmista, Iron Kingdom, Machina and Alcatraz. Legend of the Mummy is due to open soon. Clue HQ Birmingham opened their two Agent Academy games recently. Unlike Breakout Manchester, their colour coded missions aren’t just a way to label two copies of the same game. Red Mission and Blue Mission are genuinely different games just with a similar theme. Interestingly, they’re both for 2-3 players. Escape Hunt Birmingham open Blackbeard’s Treasure this week – their third game. Given their approach thus far, I expect this to appear at other Escape Hunt sites soon. ExCLUEsive Games in Newbury opened their fourth game, Wild Wild West, a couple of weeks ago. Breakout Ramsgate open their doors this week with two games: Down the Rabbit Hole and Haunted Graveyard. A child-friendly game is due to follow soon.